I use the wagon for meditation and made a portable altar for my Buddhist practices. 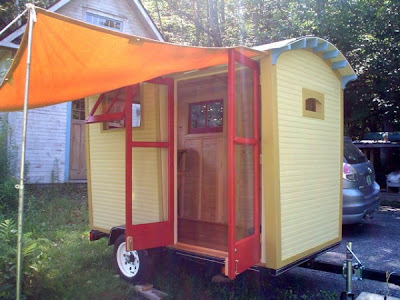 (I have taken to calling it the “Wheel of Dharma retreat wagon” and plan to paint some auspicious emblems on the outside.) I took the wagon down to Cape Cod in September for a solo retreat.